One had just learned of a worsening cancer diagnosis and never really preferred to live alone. The other had just been a victim of identity fraud and, without a job, was carrying a ton of credit card debt. These two New Jersey women were strangers 10 years ago. 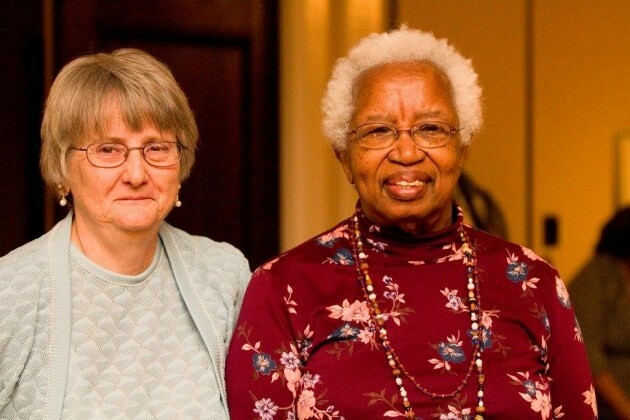 Today, they’re like sisters, brought together through the matchmaking skills of Bridgewater-based HomeSharing, Inc.
As a “provider” of a home, Hillsborough resident Jeannette Brown, 82, was put in touch with “seeker” Olinda Young, 71, of Middlesex. Based on interviews, surveys and background checks, it was determined by HomeSharing that these two would do just fine living in the same home. They met, hit it off, and Young made the move to Hillsborough, where 10 years later, the two remain housemates. Over the years, Young has paid off $40,000 in debt, while still contributing to the household bills and chores. Brown, meanwhile, is healthy, and the doctors are “really excited” about her current condition. But that won’t change anything in terms of their living arrangement. What was once something they both needed is now something they both want. “What happened is we clicked in the sense that we have a lot of things in common, and I feel like Jeannette is the oldest sister I never had,” Young said. “They can’t pull us apart,” Brown added. The concept of home sharing has been around for decades but picked up steam in tough economic times, with New Jersey’s high cost of living making matters even worse for some folks. HomeSharing, which operates in seven New Jersey counties, makes about 250 matches per year, according to executive director Lisa Blum. The nonprofit receives about 3,000 calls annually from providers and seekers. Plenty of work goes into deciding who’d mesh well with one another, Blum said. When two people have decided they’re a good match, HomeSharing crafts a shared living agreement, covering some of the uncomfortable financial and social questions that typical roommates avoid discussing until it’s too late. Describing it as a win-win, Brown and Young said it’s a shame more people in New Jersey don’t consider home sharing as an option.